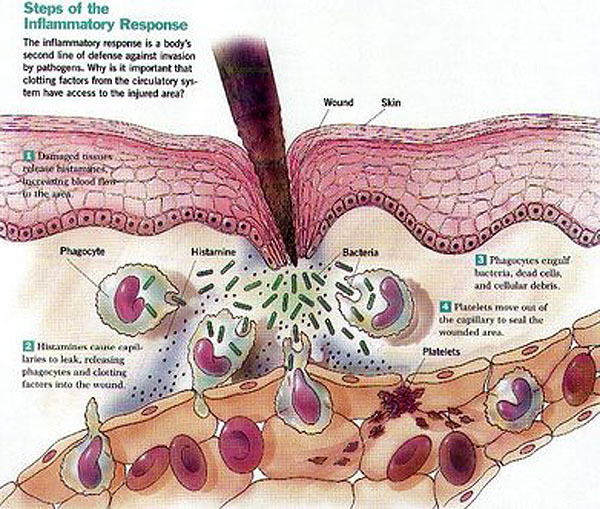 C-Reactive Protein (CRP) is a protein found in the blood that indicates "inflammation". It is produced in the liver and during infection, and with some forms of cancer and inflammatory diseases (rheumatoid arthritis, lupus) it can be elevated in a blood test. 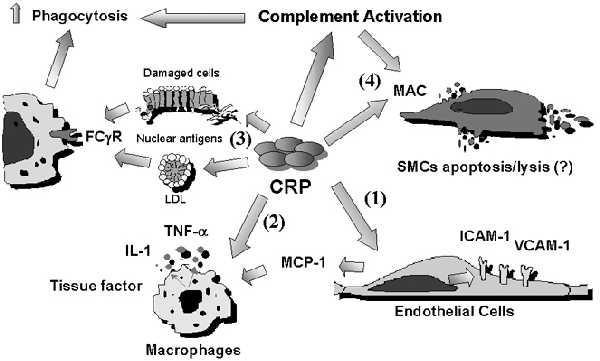 CRP can also be elevated when there is inflammation in the arteries of the heart and is a "marker" for coronary artery disease. 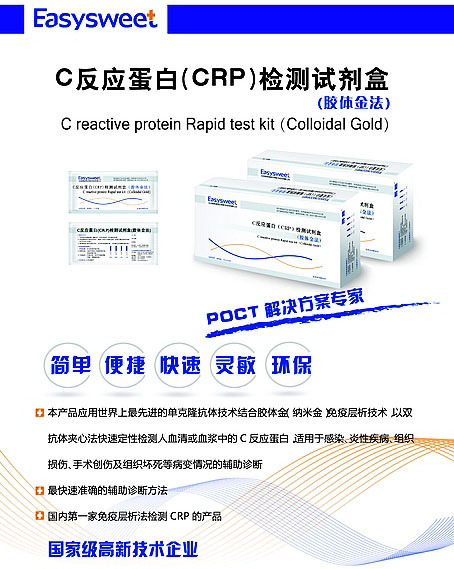 High sensitivity CRP (hsCRP) is a common test that is done to assess the risk of heart disease, stroke and diabetes. Like high cholesterol, it is not the disease in itself, but high levels (over 3.0) that indicate a higher risk. Scientists don't know if it is a marker or is a cause of heart disease, but we do know that inflammation of the heart blood vessel walls is always present in heart attack victims. Inflammation is the body's defense against injury or infection and unstable plaques in the coronary artery can rupture and the inflammatory cells rush in to repair. 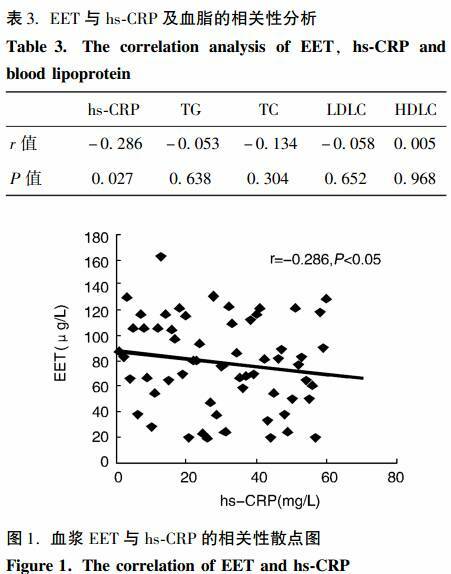 Even people with low cholesterol can have high CRP indicating inflammation. There have been numerous studies of CRP in large populations of people, and it's role as a risk for heart attack is well established. Some believe it is even a better predictor than high LDL cholesterol. What should be done for people who test high with hsCRP? Lowing other risks (smoking, diabetes control, weight, exercise, high cholesterol) is critical. Aspirin is given as an anti-inflammatory drug and to prevent clotting. Statins (Lipitor, Crestor, Zocor, Pravachol, Mevacor) are potent anti-inflammatory drugs as well as lowering cholesterol. The Jupitor Study, published in the New England Journal of Medicine, showed a reduction in heart attacks in people with high CRP and low cholesterol who were treated with the statin, Crestor. Among cardiologists and scientists, the benefits of statin drugs in preventing heart attacks is not a controversy. The Internet is filled with blogs that "Big-Pharma" is out to addict us all but science, not emotion, should be our guide.